Staff and residents at an Optalis care home in Wokingham have been celebrating with a tea party following a ‘Good’ CQC inspection. Suffolk Lodge, which provides a service for up to 40 older people living with dementia and/or a physical disability, was recognised for delivering personalised care and support to residents as well as treating them with care and kindness. A celebratory afternoon was hosted at the home, where visitors enjoyed afternoon tea and hours of entertainment from ‘Tuneful’, Suffolk Lodge’s in-house choir, which was created, and is populated by residents of the home. 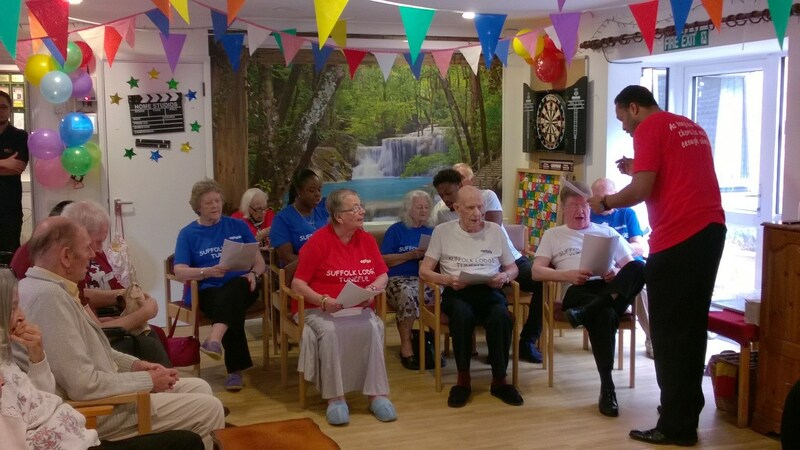 Suffolk Lodge has worked hard to improve its activity programme and set up a ‘You Said…, We Did…’ programme, where residents are able to get their wishes granted wherever possible. The latest report noted that improvements had been made to some procedures since the previous inspection in August 2017. Optalis’ Suffolk Lodge Registered Manager, Wendy Luck, was very happy with the outcome. She said: “We’re absolutely delighted with our inspection report. All of the staff work hard as a team to provide the best possible care for our residents so we are really pleased to see that this is reflected in such a positive report and overall rating. All three of Optalis’ services that were inspected by CQC teams across three months over the summer moved from “Requiring Improvement” to “Good”, successfully delivering part of Optalis’ strategy to improve the quality of care and support provided across the organisation. Optalis strives to deliver continuity of care and believes that quality goes above and beyond simply meeting regulations, to delivering support services that enhance the daily lives of its customers.